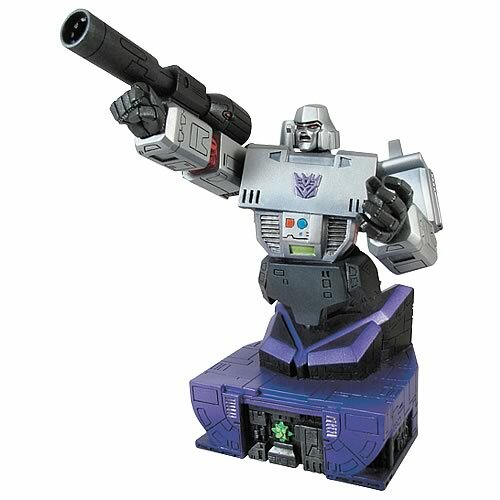 Having a motto of “Peace through Tyranny”, this utterly ruthless and highly powerful Megatron Bust robot had always been the main antagonist in the transformer movies. Being a strategic leader and highly aggressive, Megatron with his fellow decepticons has always given a tough fight to the Autobots and especially his arch enemy, the protagonist Optimus Prime. 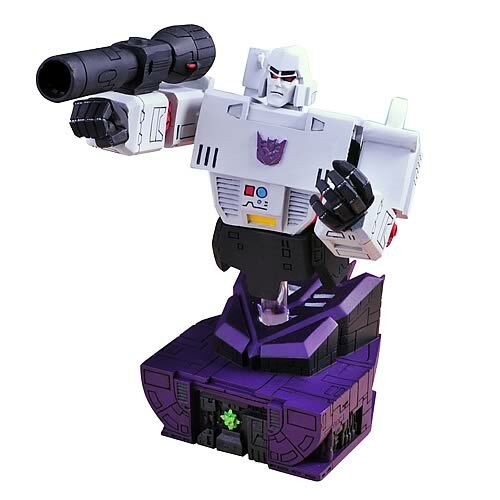 Even after all his attempts leading to failure, Megatron Bust is still not dejected and is still working hard to cutoff auto bots and now has come in another to destroy all his enemies and to first, conquer over the world and then the universe. 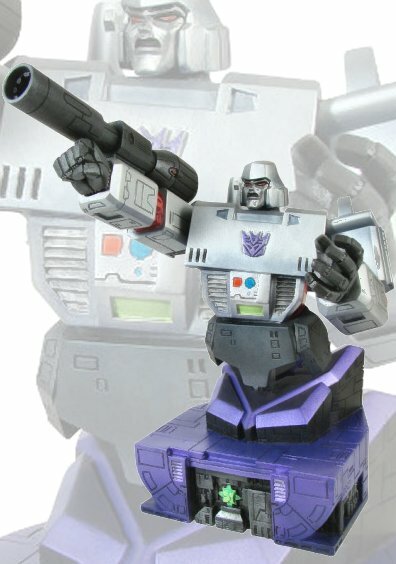 This Transformers Megatron Bust which features the vanquished but still tough enough to hit back hard decpeticon in a fearful way. I guess he has modified himself in to a small sized Six inch bust so that none of the autobots come to know of his presence and allowing him to do his work quietly and give a sudden attack. Even the box which comes is matching with the bust and it doesn’t worry about its quality because it comes with a certificate of authenticity. Being Sculpted by Art Asylum, these are only limited to 1500 pieces available with certificate of authenticity, so hurry up if you want to bring this robot beast at home you can order it for $27.90 in a discounted price and be happy. You can see some more such robots like Christmas Snowbot Robot which you will really like or you can see also Bobafett Key Chain with a little different choice.